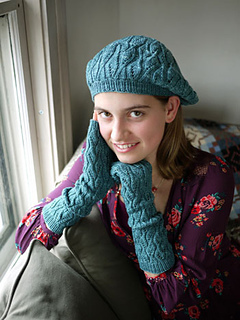 This elegant set of fingerless mitts with matching beret in two sizes (S/L) features a stunning embossed texture that will suit even the most stylish and discerning on your gift list. 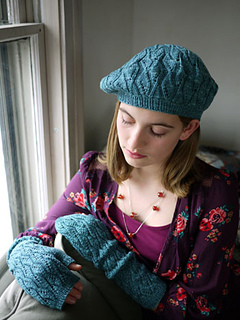 Pieces will be crisp and perky in a springy yarn, light and slouchy in a soft luxury blend. 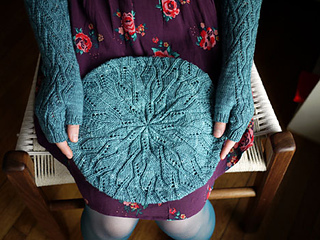 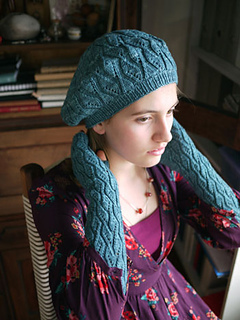 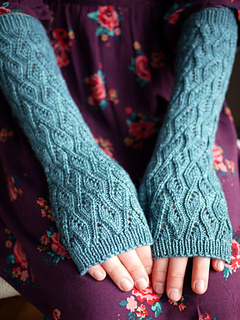 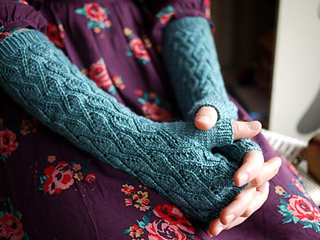 Knit in motifs that are easy to work as well, this is a terrific portable project for busy days.